Posted 1/16/2019 9:53pm by Cherry Valley Organics. With today's ever-busy schedules, it isn't often that we take time for ourselves and relax. But when we do, it should be in a way that's comforting and calming. That's where our organic bath salts and bath bags come in. 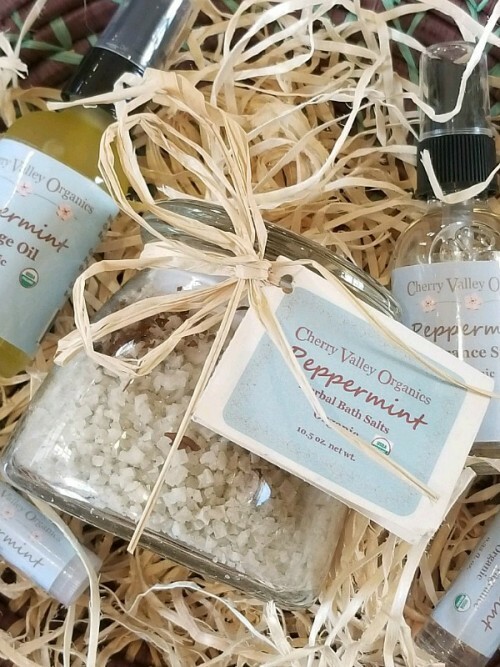 A good, long soak in a tub full of warm water, infused with the finest fragrance-infused sea salt or organically grown, aromatic herbs, is one of the best ways to take a break from the world and enjoy a few precious moments to yourself. Many commercially made bath salts are filled with synthetic fragrances, rather than the calming scents of natural herbs and essential oils. 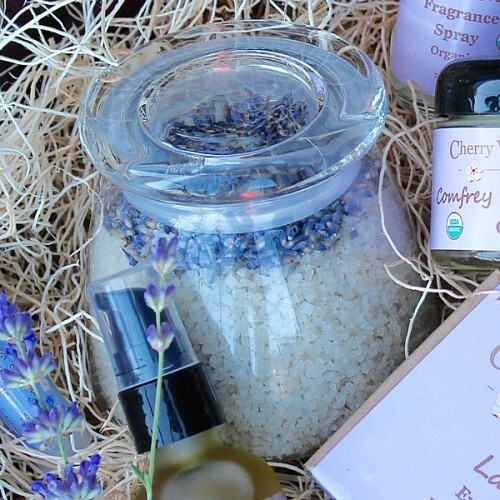 Instead, our bath salts are made by combining pure certified organic essential oils with a very special type of salt. We also infuse the mix with various combinations of herbs grown, harvested, and naturally dried here at the farm. At Cherry Valley Organics, we use only Breton™ grey sea salt. It's hand-harvested from the island of Noirmoutier near Brittany, France. The salt isn't treated, modified, washed, or refined after harvest, unlike some other brands of bath salts. This keeps the high mineral content intact, leading to a luxurious, soul-warming soak! Because the folks who harvest Breton™ sea salt follow the specifications of the French Organic Farming Association, our bath salts carry the USDA Certified Organic label. You can be assured that our bath salts care for your skin like no other. You may wonder why adding salts to your bath water is so enjoyable. Salts stimulate circulation, ease joint inflammation and stiffness, soothe sore muscles, and reinvigorate the skin. 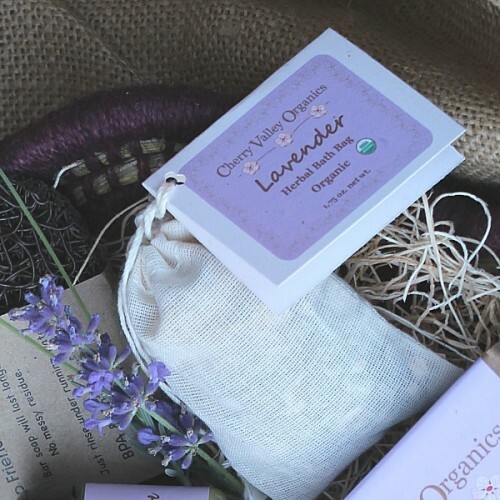 In addition to our fantastic bath salts, we also take great pride in our organic bath bags. These little treasures are created by combining various types of dried herbs we grow right here on our Pennsylvania farm. We add rolled oats for their skin-calming abilities, as well as heaven-scented organic essential oils. All of these goodies are hand-packed into small muslin bags and tied into a little sachet that's easy to drop right into the bathwater. Soon after exposure to the warm water, the herbs begin to release their fragrance for a unique and relaxing experience. 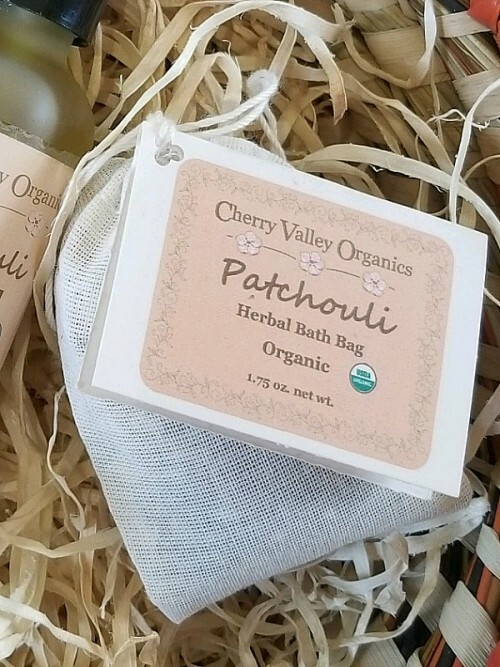 You'll never find any herbs grown with synthetic pesticides, fungicides, or herbicides in our bath bags or bath salts. And they're available in several amazing scents. 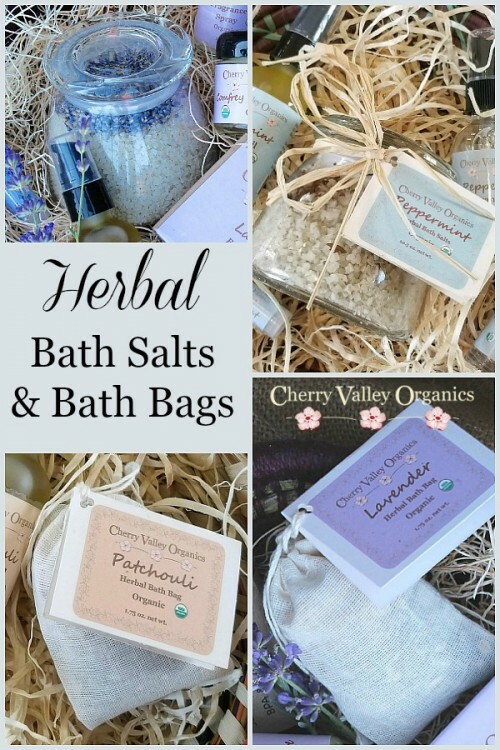 You can purchase our bath salts and bags on our web store via the links above. ***They're also available at our new store at 1713 Main Street in Burgettstown, Pennsylvania. We'll be open on Saturday, January 26th and then every Friday, Saturday, and Sunday from 10-6 through March 31st. When April arrives, the store will be open for our soon-to-be-established spring and summer hours. Watch for more store news right here on our blog, and on our Facebook and Instagram pages.